You can follow the OUP Economics team on Twitter for news, commentary, and insights on economics. Japan and Germany’s surrender in 1945 brings World War Two to an end. Bearing on this, Winston Churchill calls for a “United State of Europe” to bring all the European nations together and called for a creation of a Council of Europe. Since its beginnings after World War Two, the European Union (EU) has grown and evolved over the many years to what it is now: a political and economic union consisting of 28 states that are all located within Europe. With the United Kingdom’s recent decision of leaving the EU, the future of the European Union and its actions are as timely as ever. In this timeline we have traced a very concise history of the European Union noting key events and economic milestones, from The Spaak Committee to the Eurozone, and leading all the way to Brexit. Featured image credit: europe flag star european by GregMontani. Public domain via Pixabay. 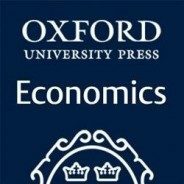 This post was created by the OUP Economics marketing team. The data compiled in this timeline have been sourced from Oxford University Press Online Resource Centres.